Made out of impact proof PP for rugged use. Fully dielectric and safe from electrical hazards. 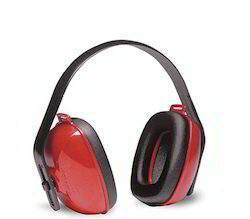 Polurethene / liquid filled ear cushion for comfort and ensures maximum attenauation. Very light and attractive and it is durable. Adjustable cushion, padded, head band, rotating 360 deg. with chrome plated springs. 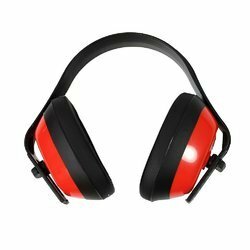 With years of practice of this domain, we are proficient to offer the finest quality range of PU Ear Muffs. - Highly flexible, 360 degrees rotating headband. - Plastic Head Bands Folds for dust free storage in pocket or a bay. - Soft cushioned pads for good seal against noise.